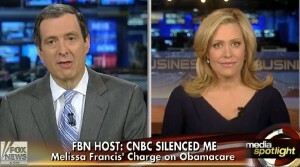 Melissa Francis, the current anchor of ‘Money with Melissa Francis’ on the Fox Business Channel revealed Friday that she was silenced when she was an anchor at CNBC by execs when she dared question the math of Obamacare. She was told that she was disrespecting the office of the presidency by having the audacity of pointing out the obvious to her viewers, that the math of Obamacare simply didn’t work, in that you couldn’t add millions of people to the system and force insurance companies to cover their pre-existing conditions without raising the price on everyone else. Scolded by management for questioning the government? Really, isn’t that their job and a reason why we have a Freedom of the Press? This was a business show, how could any responsible individual not ask or point out such a simple premise? But not for the suits at CNBC, they might as well called her a racist as well. But when you are the liberal MSM, part of the Democrat/Obama media complex simply in place to be a propaganda vehicle, you must silence all opposition to liberal policy, especially when it is a lie. Jonathon Gruber telling you that the architects of Obamacare think that you that you are stupid. And most importantly they are counting on your lack of economic understanding. They are not the only villains in this story. They are also depending on the liberal media to cover up the truth. So far NBC, ABC, the Los Angeles Times, the Associated Press, and others, have been only too happy to comply. Those outlets have not even mentioned the video evidence from Jonathan Gruber. It’s shocking, but it actually doesn’t surprise me because when I was at CNBC, I pointed out to my viewers that the math of Obamacare simply didn’t work. Not the politics by the way. But just the basic math. And when I did that, I was silenced. “It’s shocking, but it actually doesn’t surprise me because when I was at CNBC, I pointed out to my viewers that the math of Obamacare simply didn’t work. Not the politics by the way. But just the basic math. And when I did that, I was silenced,” Francis said. 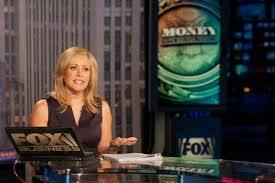 I think we now know that Melissa Francis was 100% correct. JUST HOW BAD IS OBAMACARE … EVEN UBER-LIBERAL DEMOCRAT BARNEY FRANK CALLS IT NOTHING BUT A PACK OF LIES … AND CALLED OBAMA A LIAR. You know that Barack Obama’s signature piece of legislation is a disaster when even libs like former Rep. Barney Frank come out against the Obama administration and say, “they just lied to people.” Think about what Barney Frank just said. A liberal Democrat just admitted that Barack Obama knowingly lied to the American people. Does anyone really wonder why Obama has no more credibility? Frank stated in his HUFO interview that Obama should have better explained the situation to the American people, and laid out the possibilities of losing their existing plans. Sorry, trying to hold back the laughter. Had Obama done such a thing, he knew that the ACA would be more unpopular than it already was and he would lose reelection. That is why he lied. President Barack Obama made a major political mistake by lying about the details of his health care plan, according to former House Financial Services Committee Chairman Barney Frank (D-Mass.). Obama has taken significant flak in conservative circles for claiming that his health care overhaul would allow all existing health care plans to continue, when, in fact, new consumer protection standards would require some people to sign up for more comprehensive insurance. The law provides government subsidies to help people of modest means pay for the more robust plans. 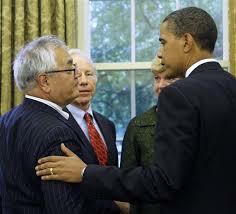 Frank is a strong supporter of the law, and he has repeatedly defended Obama and his legislative agenda. “If you like your doctor, you can keep your doctor PERIOD! If you like your health care plan you will be able to keep your healthcare plan PERIOD! This is the reason why Obamacare is as unpopular as ever and will become even more unpopular in the future. Everyone has not figured out they that they have been lied to. Remember when Barack Obama said in April 17, 2014 about Obamacare, “This thing is working” … then again he also said you could keep your insurance if you liked it. According to a recent WSJ/NBC poll, Americans could not disagree more with President Obama as an incredible 8% say that Obamacare “is working well the way it is.” 8%!!! Do you realize just how bad something has to be to get 8%? But what else would we expect from a law passed along partisan Democrat lines, which no one read and where Barack Obama, Democrats and their shills in the MSM intentionally lied to the American people that under Obamacare you could keep your insurance if you lied it and you could keep your doctor is you liked them, period! Take a look Democrats as to what you face in the 2014 midterm elections. Feel like running on Obamacare? Mr. Obama’s 44% approval rating lags his 50% disapproval rating. And while 36% of respondents say the health law is a good idea, 46% say it’s a bad idea. 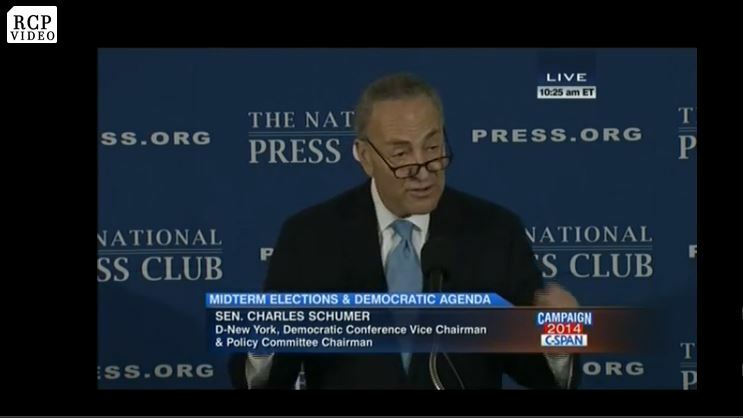 Congressional Democrats up for re-election this fall may be especially troubled by these results given that 43% of survey respondents voted for Barack Obama in 2012, versus 34% who voted for Mitt Romney. In the actual 2012 race, Mr. Obama bested Mr. Romney by four percentage points. Newsbusters points out that shills in the MSM are still trying to spin Obamacare’s poll ratings as a good thing. Chuck Todd tried to spin the latest NBC News/Wall Street Journal poll that shows half of Americans disapprove of Obama as “Improvement” for the Democrat.Hey Chuck, did you see that 8% number? How about the 36% of respondents who said that the health law is a good idea? Or the 54% who disapprove of Obama’s handling of the economy? Todd argued that “The poll numbers are better, they’re still not good, okay? There is slight improvement on the health care law. And that directly related to slight improvement for President Obama.” Yet, Todd’s own statements don’t hold up to the actual findings of the NBC/WSJ poll.